Bobby Ritchie died on 21st August 2013, two weeks after her 59th birthday. With her calm manner and talent for organisation, Bobby played a significant part in the folk community in Essex for the last forty years, particularly in her adopted home town of Thaxted. 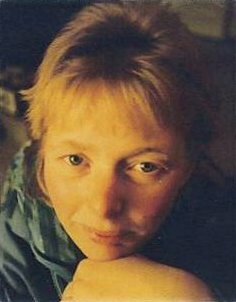 Since the mid 1980s she has also been known in Suffolk and further afield for her calling and involvement in many aspects of the folk scene. Born Lorna Ritchie in Billericay, "Bobby" was a nickname given to her as a young girl by her father. In the 1970s, Bobby and her first husband Simon Thorndycraft lived in Brentwood and were both involved in the early days of Blackmore Morris and Blackmore Folk Club. Bobby played piano accordion for Blackmore Morris alongside Mike and Cathy Studd & Howard Jones, and was secretary of the side for a number of years. Howard Jones recalls: "She was a fine player for morris, with a good sense of tempo. Her playing wasn't fancy or flamboyant, but always steady and really delivered the goods - great to dance to. I have in my mind's eye a photo of the two of us playing for the Nine Daies Wonder morris relay from London to Norwich - I think it may have been Silver Jubilee year 1977. It snowed as I recall." After having two daughters, Sally and Jenny, the marriage with Simon Thorndycraft came to an end and then, a few years later, came the move to Thaxted in 1986 and marriage to Simon Ritchie in 1989. Three more children, Rosie, William and Andrew followed, requiring a move from their Newbiggin Street cottage to Golden's Farmhouse on the outskirts of the village. Simon and Bobby soon became involved in many aspects of life in Thaxted, including, of course, the morris and the country dance club. The latter had been faltering after Margaret and Russell Caton decided to call it a day, until Bobby stepped in as caller and organiser and built the club up to the strong position it is in today, meeting twice a month with over thirty dancers and as many as eight in the band. Bobby was an active member of the church, a bellringer and on various committees in the village and was a key person in the development of what had been a Valentine's Day dance into the mini-festival that is now the Sugarbeat weekend. Although Golden's Farmhouse was a lovely home, Bobby had been smitten by the Ritchies' present home at the Market Cross. This beautiful mediaeval building was once owned by Alec Hunter, the first squire of the Morris Ring (founded in Thaxted in 1934) and a leading textile designer whose artistic style still permeates the house. Bobby directed much of her prodigious energy in recent years to restoring and decorating this house in a suitable style but it is no museum piece, still maintaining a wonderfully welcoming family atmosphere. Ever since their courting days, Bobby and Simon made regular visits to the traditional music pubs of Suffolk, with the Dennington Bell holding a special place in their memories. I got to know them better through the Old Hat Music Nights we ran in Debenham and Stradbroke in the '80s and '90s, and they made firm friends with many of the local musicians, singers and stepdancers. This involvement in Suffolk continued, with both of them being integral in different ways to many of the East Anglian Traditional Music Trust events. Whilst most people were aware of Simon as a performer, many others came to know Bobby through her 'behind the scenes' roles as caterer, volunteer, and her party games and raffle skills will be much missed at our Christmas parties and Harvest Horkeys! Bobby spread her calling wings beyond Thaxted with The Posh Band, Katie's Quartet and other bands, calling for many barn dances and ceilidhs in Essex, Suffolk and across the country, including festivals at Sidmouth and her beloved Dartmoor. She was a regular attender at dance workshops at these festivals and also at Whitby, including contra and Irish set as well as social and ceilidh. Thaxted is close enough to London to have allowed Bobby and Simon frequent visits to the Musical Traditions club and the annual Keith Summers Gathering, and dances at Cecil Sharp House including the recent series with the Rakes. Many people on the folk dance scene around the country counted Bobby as a friend: she was the kind of person you felt at ease with immediately and went away having made a new friend after the first meeting. In the past year or so, Bobby had regained a lot of enthusiasm for playing music, particularly at the sessions run by Anahata & Mary Humphreys, which provided exactly the right mix of inspiration and opportunity to play her taste in music. Bobby leaves an immense legacy in Essex particularly, with the people she has inspired to dance, to play, to enjoy traditional music, dance and song and to just get involved in it somehow. Her own children have all displayed musical and dancing talents from an early age, enjoying social dancing, taking part in the Dartmoor Stepdance Competition and playing in sessions. Over her many years as a teacher and headteacher, many other children have benefited from her hard work and wisdom and her positive and pragmatic approach to life. It's never easy to write an obituary, but this one has been particularly hard for two reasons. Firstly, because so many other people knew Bobby and will have their own memories, recollections and appreciations; and secondly, because Bobby was a very dear friend and I miss her immensely. Whether discussing event organisation, teaching, weight loss or the problems of getting husbands out of pubs at closing time, we never ran out of things to talk about. Random memories include: a rare quiet moment on the top of Cawsand Beacon on Dartmoor; sitting squashed up with musician Jacky Daly in a tiny pub in Milltown Malbay; disco dancing in Liverpool and set dancing in Sidmouth; calling on stage at the South Bank Centre with the audience nearly invisible in darkness; singing a music hall song in a wonderful Edwardian costume at a party last Autumn. Thanks to Daniel Fox, Danny Gallagher, Howard Jones, Colin Cater and Annie Harding for filling in some of the gaps.